The latest cover story of Newsweek titled “The Palin Problem” is an excellent article. It explains in pretty basic terms why Palin’s argument for why she is a great VP candidate because she is a Joe Six-Pack or a Hockey Mom is so illogical and completely absurd. The problem facing Washington is not that America wants a regular Joe Shmoe in the office, it wants an exceptional person that looks out for the interests and fights for the Joe Six-Packs and the Hockey Moms of America. We don’t actually want one in office. Seriously, I definitely do not want a beer drinking, pot-belly scratching smelly Joe Six-Pack as Vice-President. I also don’t want a Hockey Mom in office either! When I go to a bar to watch football, I don’t see a single person I want as potential President of the United States. Palin needs to focus more on what she has done as Governor and what she has done for the middle class of America. We want our leaders to strive for excellence, and to have a history of excellence. We expect more from them, and that’s the current problem with Washington. Does John McCain, with 7 houses and 11 automobiles really understand the problems facing the middle class? Does George Bush with his huge Texas ranch and political and elitist family connections really understand what the average worker in Pennsylvania is going thru? We haven’t had an exceptional leader who understood middle class America in a long time. Sarah Palin is not the answer. She might understand what middle class America is going through, but she doesn’t have the experience or history of striving for excellence to do what is right. 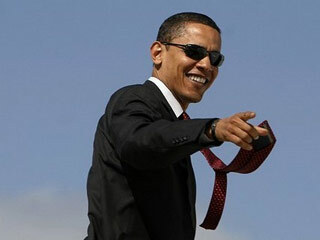 Obama at least offers us that hope. Even Biden and his history of traveling to and from work every day and middle class connections has more of it. I had been writing this long assessment of Sarah Palin and whether she was qualified to be Vice President or even President. However, I have since stopped writing it for several reasons. One, it got to a point where it was pretty depressing writing so many negative things about someone. It would not be construed as an independent assessment, and purely a biased lambasting of her. Two, it seems like no matter what I said, I wasn’t going to be convincing anyone, since all the news on her is pretty much out in the public. Either you don’t like her or you like her because people you don’t like like her. And finally, it seems like the initial weeks of excitement over her is over, and the trendlines are reverting back to normalcy and logic. That being said, I post what I had written, and leave it at that. This whole Sarah Palin pick as John McCain’s vice presidential (VP) candidate is really bothering me. I still don’t understand how someone so inexperienced and controversial can reignite the presidential race and give the McCain/Palin ticket its first lead ever. Well, if I am an independent pragmatist, it’s time for me to do some unbiased analysis. I have obviously had an Obama tilt this time around, but being an independent does not mean you vote for a third party every election. At least for me, it means I choose a candidate based on the important issues affecting me and the country at that time and who I think is best equipped to resolve those issues, regardless of political party. So, it’s time to see Palin from both sides of the argument. To lay all the issues surrounding her and decide if each one is unrelated to her potential as VP or if they are possible landmines. And do an unbiased assessment of whether Sarah Palin is a legitimate person to hold the second highest position in our country. Well, vice-president is second highest mostly by name, considering their only official duty based on the Constitution is to serve as the President of the Senate. The Constitution assigns no executive powers to the VP) and the role only becomes important if the president dies, since the VP is the first to take office. If you have read my Michael Phelps or Usain Bolt? Who had the greater Olympic achievement, I will try to be as unbiased as possible. As a matter of fact, I went to my Phelps or Bolt assessment with the belief that Bolt would win. instead my assessment concluded otherwise. As I type this sentence, I have no idea what the result will be, and yes, my initial bias is that Palin is not a legitimate VP candidate. A president has a two-term limit, but a VP can serve as VP for unlimited number of terms. Obviously, there will be issues in which it is too subjective to give an unbiased score. For example, the fact that she is pro-life should have no bearing on her qualification as VP. These issues that are too subjective will fall into this category. I will still discuss these issues though. I will then add up the scores and calculate an average. A positive score would indicate she is qualified enough to be VP. A negative score would indicate the opposite. A final discussion will ensue. I am hoping that as this election campaign continues, I will keep adding to this assessment and modifying the score. If you have feedback or other issues, please feel free to comment. 1. Does vice-presidential pick even matter? – In past presidential campaigns, the vice president has not had a major impact on the eventual outcome of the election. 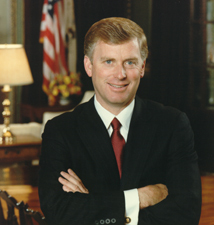 For example, the elder George Bush won the 1988 election even with the ill-advised selection of Dan Quayle. However, there have been campaigns where the selection of the vice president blunted their momentum. One recent example is Ross Perot’s independent campaign of 1992. Because Perot was a third party, the selection of his VP was of utmost interest, since it would clear up the Perot platform. 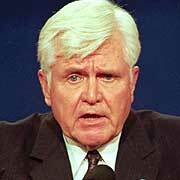 His selection of slow-footed retired Vice Admiral James Stockdale definitely slowed his momentum all the way through the elections. So does John McCain’s selection of the VP matter? YES. And that’s a resounding yes. The biggest reason is the concern of McCain’s health and age. If McCain wins the election, he will be 72 years old. Based on the 2007 estimates of the CIA World Factbook, the life expectancy of a male in the United States is 75.15. However, this is the expectancy of all ages. If we get into the details, according to the CDC reports, white males born in 1900 have a life expectancy of 46.6, and those born in 1950 have an expectancy of 66.5. Based on the trend that life expectancy increases based on birth dates closer to today (those born in 2005 can expect to live to 75.7), we can extrapolate the life expectancy of while males born in 1936, the year McCain was born in. Let’s just say it is below 60 years old. McCain is already 12 years beyond his expected life. To add further more concerns, McCain has battled melanoma, a malignant form of skin cancer. Although he is cancer-free for seven years and his medical records indicate a strong heart and general good health, concerns still persist. We also do not know the long-lasting trauma he experienced in four years of torture and isolation as a POW. 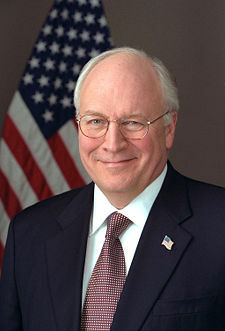 From a logical point of view, the concerns are strong enough to warrant deeper analysis of the vice presidential pick. This is either good or bad for Sarah Palin. The fact that most people do not know anything about her, she has the opportunity to paint her own picture. On the other hand, her inexperience and skeletons would be under the microscope more. As we know about the media, negative things will be blown out of proportion while positive things will be more likely ignored. I give this a negative for her because she is being scrutinized more as a potential presidential candidate than a VP candidate, which means higher standards. Any extra scrutiny of politicians is always a negative because of the attention and spin the media can take. She visited troops in Iraq in her trip last year. This has proven to be false. She only visited Alaskan troops in Kuwait. Her aide had originally said Iraq was one of her stops. She visited Ireland on her international trip. A spokeswoman has since clarified it to a refueling stop in Ireland. She said no to the Bridge to Nowhere. She has been trumping this for the past two weeks. Most independent sources said she supported the bridge and only changed her mind after Congress denied the request and the Bridge had already become a national laughingstock. On Gibson’s interview, she explained that the $200 million was still given to Alaska, but she said no to the bridge and spent it elsewhere. Whaat?! She says Obama will raise taxes. All independent sources say this is false. Over 90% of people’s taxes will be reduced on Obama’s plan. Palin’s reason for cotinuing saying this? She says Obama voted no 94 times on bills Bush wanted to cut taxes. This is an obvious twist of truth because Obama voted no to Bush’s tax cuts because they focused on the rich. She billed the state of Alaska $17,059 for travel when the whole time she was working at home. Although this is technically allowed, it is very frowned upon. Her camp has defended this based on technicalities. That’s what politicians do, look for loopholes. She says she is a reformer who worked to end the “abuses of earmark spending in Congress. The truth is the earmarks she requested have been more per person than any other state! This is Alaska! According to the Gibson interview, Alaska gets over $200/person in earmarks, while Obama’s Illinois only gets $20/person in earmarks! 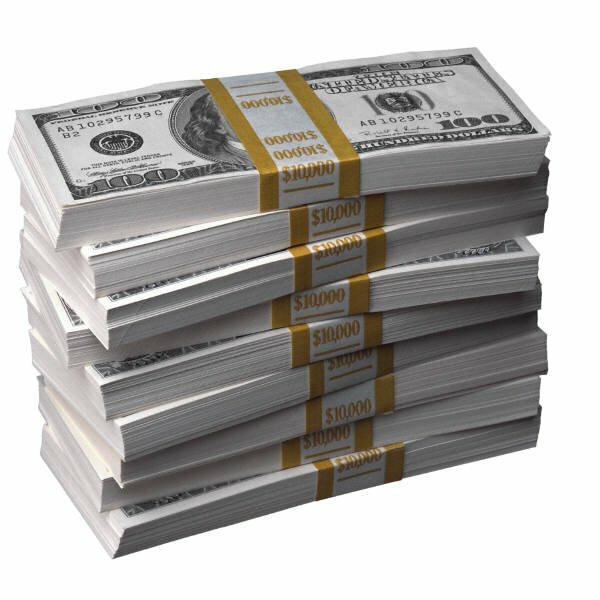 She received $27 million of earmarks for her Wasilla town of 7,000! She also hired a lobbyist for Wasilla in her second term! Down-syndrome baby – This is a tough one. Slight credit must be given to her to knowingly carry the burden of having a down syndrome baby. However, her decision making must be questioned. To be fair, I cite a British source mother25plus.co.uk that states the risk of a 43 year old mother having a Down Syndrome baby is 1 in 49, compared to 1 in 1351 for 25 year olds and 1 in 384 for 35 year olds. The U.S. stats are a little better. The question must be asked, with already four kids, isn’t birth control a responsible decision for a 43 year old mother? Recent research has also hinted the father’s increasing age is also a risk in the baby having Down Syndrome. When we look at it this way, it would be even more detrimental to her character if she had an abortion on a DS baby she took the risks to have. 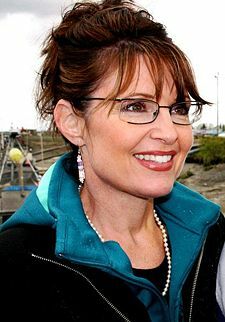 Pregnant teen daughter – This is a huge negative because of the fact that Palin is suppose to represent family values. One cannot twist the logic or divert attention to the comfort that she’s a regular person with normal problems. The facts are the facts, her 17-year old high school senior daughter is pregnant with her high school boyfriend. Just because they plan to get married does not change the act. Has this family heard of contraceptives? It’s interesting to note that Sarah’s daughter’s brother will only be one year older than her own child. Todd Palin member of Alaskan Independence Party for 8 years – While the Palins were married, Todd was part of a political party that advocates the independence of Alaska from the United States. Although he is now a registered Republican, this can’t help what people view of him. However, these four issues can be seen differently, as witnessed by supporters of Palin. Although people can mention the lack of responsibility in the first two issues, we do not have concrete evidence of how and why a couple would want a fifth baby. Thus, this is only a slight negative. 4. Personal Issues – This differs from family issues in that these issues are directly related to herself. 5. Education – It has been reported that she received her Bachelor of Science in Communications-Journalism from the University of Idaho. However, it has not been fully reported that before going to the University of Idaho, she spent her first college semester at Hawaii Pacific College, transferring in 1983 to North Idaho College and then to the University of Idaho. She attended Matanuska-Susitna College in Alaska for one term, returning to the University of Idaho to complete her Bachelor of Science degree in communications–journalism, graduating in 1987. As much as people tout that she is a normal person, we should still hold our leaders to higher standards. Nothing against the schools she attended, but she can’t seem to make up her mind. She has no higher college degree. I value education greatly and I think this is a huge negative. She also used her degree in journalism to become a sports reporter for KTUU-TV in Anchorage, Alaska. She also helped in her husband’s commercial fishing family business. Sports reporter for KTUU-TV – OK, this obviously gave her no pertinent experience whatsoever. City council of Wasilla – She was elected twice. Overall she did a decent job as she curtailed bar hours by two hours and was concerned with sales tax spending. However, her campaign manager stated Palin said in 1995 that the book Daddy’s Roommate should be removed from the shelves of the local library although she had not read the book. First Term as Mayor of Wasilla – Let’s be serious here. I come from a town in New Jersey of over 20,000 people. No one knows or cares for the mayor. Palin was mayor of a town that had 6,300 people at the end of her second term. Even as mayor, there were some warning signs: (1) although she did not request for any specific books to be banned, she did inquire about the possibility to the city librarian, Mary Emmons. Emmons was against it and was later fired by Palin. Palin had to rescind the firing the next day due to strong public support for Emmons. (2) Her firing of Police Chief Stambaugh led to a lawsuit against Palin. Stambaugh claimed that he was fired because he was against concealed weapons and that Palin said the NRA didn’t like him. The lawsuit was dismissed more on abuse of power than fairness. The judge said the mayor can fire city employees for any reason, including political ones. — However, she did do some amazing things as mayor. She cut property taxes by 75% and eliminated personal property and business inventory taxes. She built new bike paths, funded storm-water treatment in order to protect freshwater resources. She reduced spending by stopping construction on a new library and city hall. She won re-election with 74% of the vote. Second Term as Mayor of Wasilla – During her second term as mayor, Palin introduced a ballot measure proposing the construction of a municipal sports center to be financed by a 0.5% sales tax increase. The $14.7 million Wasilla Multi-Use Sports Complex was built on time and under budget, but the city lost an additional $1.3 million due to an eminent domain lawsuit caused by a failure to obtain legal ownership of the property before beginning construction.She also hired the Anchorage-based lobbying firm of Robertson, Monagle & Eastaugh to lobby for earmarks for Wasilla. The effort was led by Steven Silver, a former chief of staff for Senator Ted Stevens, and it secured nearly $27 million in funds. The earmarks included $500,000 for a youth shelter, $1.9 million for a transportation hub, $900,000 for sewer repairs, and $15 million for a rail project linking Wasilla and the ski resort community of Girdwood. Some of the earmarks were criticized by Senator McCain in 2001 and 2002. 6. Foregin Policy Experience – This is probably her weakest experience. Palin made a well-documented trip to Kuwait and Germany last year to visit U.S. troops, and over time, the governor and her staff have revealed she also visited Canada and Mexico. Meanwhile, her aides clarified that a purported visit to Ireland was little more than a refueling stop during her trip to the Middle East. This is the extent of her international travel! She is 43 years old and made one international trip! She hasn’t even been to Russia, Alaska’s western neighbor. As a matter of fact, she had to get a passport last year just to make her trip to Kuwait. After her nomination, Palin was hunkered down with Republican foreign policy experts to brush her up on foreign policy. This is very frightening that a potential VP has to learn foreign policy on the campaign trail. That means her views will be dictated by those that are teaching her. Most of the people teaching her? Bush related members. This does not bode well for any change in Bush’s foreign policy. Palin has so far been unwilling to go deep into foreign policy issues; most likely because she doesn’t have the experience to form an opinion yet. Her first opinion was a very recent hawkish comment that she would consider going to war with Russia in order to defend Georgia!!! The fact that she cited the NATO treaty as the reason is naive (Georgia’s not even in NATO yet). The U.S. would be very wise not going to war with Russia, the second most nuclear power in the world, over Georgia. In the Gibson interview, Palin was very general in her responses to foreign policy questions. She was very vague and Gibson had to emphasize several times that she was not answering the question. She also did not know what the Bush Doctrine was. (Opinion) I can’t stress how scary and unfathomable this point is. At a time when America’s foreign policy has caused so much animosity from the rest of the world, is a VP with no foreign policy experience at all the right choice? Considering McCain is closely tied to Bush’s foreign policy, this does not mean change at all. I must admit, it is getting tough to be unbiased. I haven’t even written half of my assessment yet, and so far it’s been all negatives. I need to look up positives of her. 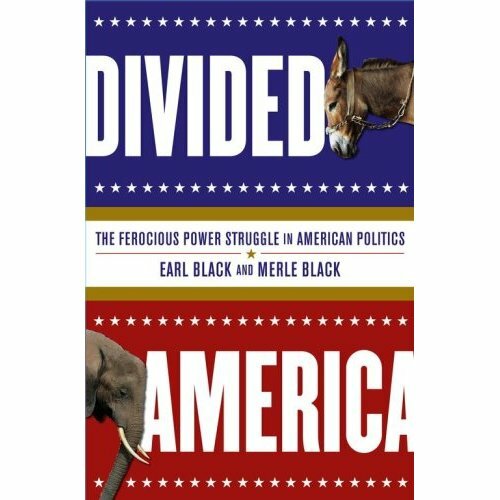 As I’m listening to Sarah Palin speak at the Republican National Convention tonight, I can’t help but think how polarized this country is, and how Palin actually makes it more divisive. There was so much rhetoric and attacks at Obama and Biden, there were several times during her speech that I hated politics. Just two weeks ago, she was a complete unknown for most Americans. What has happened since then for her to show such hatred for Obama? Did you notice she never referred to him by his name, but only by the “opponent”? What gives her the right to spew such vitriolic words at someone she probably has never met? There wasn’t one sentence from her that really said anything about what she’s going to do to help America. I‘ll give it to her, she doesn’t seem afraid to attack, although I find her high, whiny voice really really annoying. Also the way she ended her sentences with a weird tone, sometimes I didn’t know if the sentence was over. There were times when the audience didn’t know either and waited a second before applauding. I still don’t understand how she is a good pick and how she invigorates the Republican base. Why are they so happy tonight? Seriously, am I missing something? To me the speech seemed pretty amateurish, almost like a student council speech. “Vote for me! Vote for me!” Like a popularity contest. The reason her pick makes this country so divisive is that half the country has no idea how she is anywhere close to having credentials to be a VP, let alone be one heartbeat from being president, and the other half of the country being so invigorated by her. What’s going on?? In any case, based on the initial reactions of her speech by Charlie Rose and some others, they seem to like her speech. Her major test will still be when she faces the media in a press conference, or on the election trail, or in debates against Biden. 1. 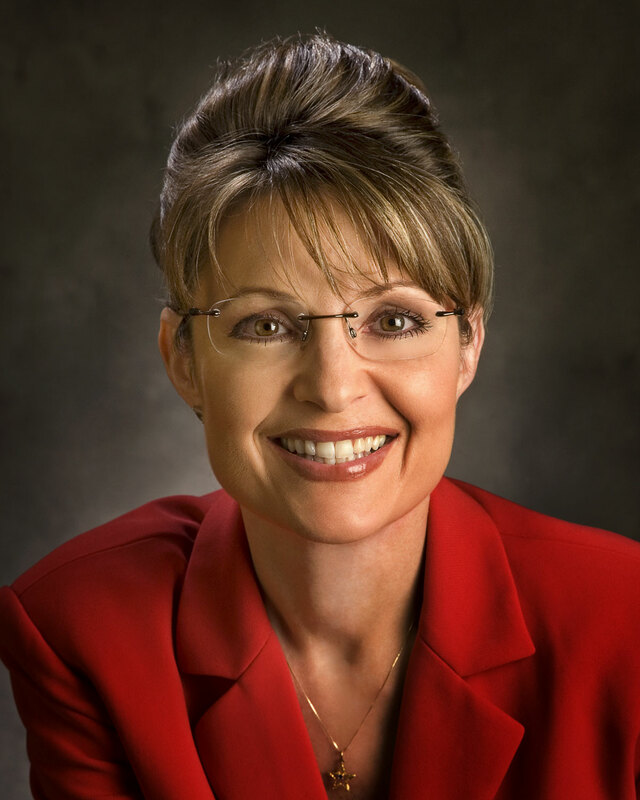 Experience – Palin’s total experience? Two years as governor of Alaska! She was mayor of Wasilla (population 5,470 in 2000) in 1996, and ran unsuccessfully for Lieutenant Governor in 2002. She became governor in 2006. Are you serious? All this time of McCain attacking Obama having no experience to become president and he picks Palin as VP choice? She is one step from becoming president of the United States! And McCain is no spring bunny here! That was McCain’s strongest point against Obama and now he can not use that again. 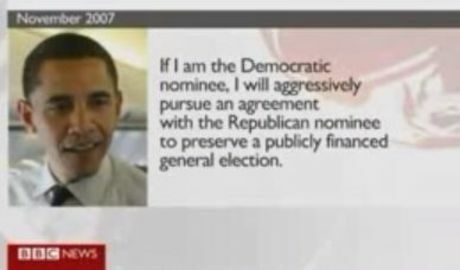 Actually, with Obama picking Biden, the Dems ticket seems a lot more experienced and formidable than the Republicans. 2. Purely a Political Move – I’m not sure what Palin really brings to the table that the other potential VP candidates would have brought. Romney, Lieberman, Ridge or Pawlenty, all bring a lot more to the main Republican base. Palin is known as a maverick, but having only two years of experience is tough to justify as having a career of independence. One last reason he might’ve picked her is the oil play. Listening to her on CSPAN after the speech, she rambles stats and stats about Exxon Valdez and Artic drilling. It seems like this is a strategic move and not a who’s best for the job move. She is female and seems like McCain is trying to pick up the Clinton supporters that are still unwilling to support Obama. He is also trying to run the anti-Washington reform card. OK, so reading more, it seems like she was chosen also to try to invigorate the evangelical vote. She is strongly pro-life and an NRA lifetime member. 3. Harmony – I don’t see how McCain, 72, and Palin, 44, can work well together. He is from Arizona and she’s from Alaska. He’s a senator, she’s a governor. How much does he really know her? The longest he must have known her is two years. There’s no chance he knew her when she was mayor of a small town in Alaska. How would they work together if in office? He could be her father? Would she be too intimidated by him? 4. Alaska – Nothing against Alaska, but it has not had good press the past few years. 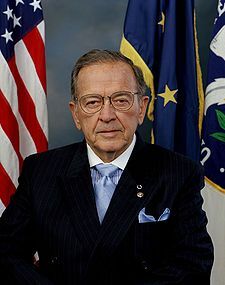 First the bridge to nowhere, and then the senator Ted Stevens being indicted on seven felony counts and still wins the primary race? Or Rep. Don Young having legal/ethical troubles as well. Don’t forget former Senator Mike Gravel’s hilarious attempt in the Democratic primary race. To me, it seems like they are pretty disconnected to what’s going on on the continental US. Life there is much different than what is happening on the main land. Palin’s spent her whole life in Alaska, so how much does she know what is happening to the middle class for the majority of America? What do people think of when somone mentions Alaska? Cold. Exxon Valdez. Wasteful earmarks. Nice in the summer. No sunlight in the winter. They wanted an outsider? They got the most outsider you can be. It’s funny. In her interview with CSPAN in February, she talks about Wasilla as one of the fastest growing areas in Alaska. Wanna know the numbers she’s referring to? Population in 1980 was 1600, in 1990 was 4000, in 2000 was 5470, and references to it being around 9000 now. Wow. This makes it the fastest growing areas in Alaska?? Hehehe… I think more people than that travel to and from NYC in less than an hour. 5. Maverick – McCain is overplaying the maverick card. Palin is known as a reformer and independent thinker, but it’s definitely much easier to make such changes in Alaska. Look at Gravel! How did he become senator? If McCain wanted to make a splash, he could’ve picked Lieberman, or someone with more experience and appeal. 6. Palin not without controversy – Just a month ago, she dissed the VP job as being unproductive! She was on the Kudlow & Co. show, and she replied, “I still can’t answer that question until somebody answers for me what is it exactly that the VP does every day?” In February, on CSPAN she replied that she doubt McCain would ask her to be his VP choice. Additionally, there is controversy about a firing she did in her office. An investigation is being done into whether she did that as relatiation for her relative being fired earlier. 7. Can’t wait for the VP debates – There better be some debates between Biden and Palin. They are going to be amazing. Biden will eat her alive. That might be bad for Dems though, as many people might feel sorry for her. But the experience of Biden will be hard to overcome by her. I just don’t understand this pick. It seems like a desperate move. Reminds me of the Dem’s Mondale-Ferraro ticket in 1984 and the Bush-Quayle ticket in 1988. Let’s pick a young newcomer to motivate the base voters. I think this pick will completely blow up in McCain’s face. This year’s election is so different than what anyone would’ve thought. It was supposed to be Clinton and possibly Guiliani. Who would’ve imagined Obama/Biden vs McCain/Palin two years ago! Wow, gotta love the American political process.